Elisabeth Feigl founded the animal shelter ElfesWorld Thailand and still runs it today, looking after 670 animals rescued from the streets of Koh Samui or the illegal dog meat trade. MADAM – everything started with her.. In 2000, during her trip to Australia, Elfe (ELisabeth FEigl – Elfe stems from the first two letters of her first name and surname) made a stopover in Koh Samui where she planned to spend 2 months. She then intended to live in Australia and work there as a foreign language correspondent..
Elfe accepted more and more animals in need. She rented a plot of land in the Southwest of the island and founded the rescue centre ElfesWorld Thailand for Dogs and Cats in Need. Until 2005 she was able to care for the animals from her personal means. 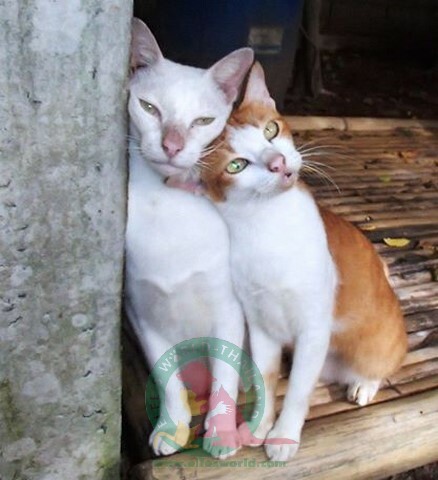 She made contact with other animal protectors and, with the help of some of them, a non profil organization was established in 2007 which helped her financially from then on. 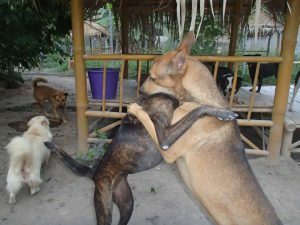 Unfortunately, in 2013 this organization had to be dissolved due to illness; since then ElfesWorld Thailand has reverted to being a privately organised and led animal shelter. During the years 2011 to 2014, we accepted several hundred dogs which had been rescued from the illegal dog meat trade and which had to live in huge holding camps under extremely bad conditions. Their chances of survival there were minimal. To ensure that all animals are looked after and have everything they need, Elfe is there for them around the clock, seven days a week. She knows every single animal personally and loves them all equally. The daily care for the animals means a lot of hard work, no free time, no social activities, no holidays, and no free weekends. Elfe decided on this life and has never regretted it. Her best reward for all the work, worries and hardships is to see her animals healthy and happy, either at her place or in their new homes in Europe or the USA, to be able to help new cases in need, and every day to be surrounded by animals. 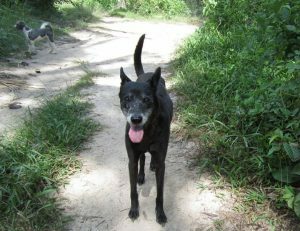 She is grateful for what she has been able to achieve for the animals in all these years with the assistance of kind helpers, sponsors and donors. The maintenance of the shelter as well as the care for the, currently, around 670 animals are totally financed by donations, not an easy task with so many hundreds of animals. Vast sums are spent on food, accommodation, helpers and vets. It is a huge challenge every month to fill all the tummies and to keep the animals healthy and the shelter intact. Without financial help it is not possible to care for the animals. The animals live in groups of different sizes in nice compounds which are equipped with bamboo benches and covered resting places. Some live with Elfe near the house (mainly the very small, sick and weak animals). Both dogs and cats are being lovingly cared for by Elfe and some helpers. On the administrative side (Facebook, website, campaigns, search for sponsors, correspondence with supporters, etc.) we have a small support team of kind volunteers who have been active for some years now. 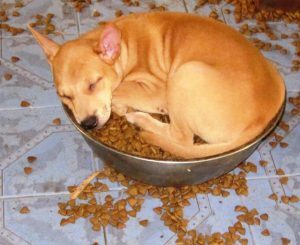 Some dogs have sponsors, which means that at least food, de-worming and tick protection is guaranteed. However, many of them are still looking for a kind sponsor. Part-sponsorships are also possible. In our ’Animal Picture Book’ we show you some insights into our lives, and under the heading ’Before – After’ we introduce you to some of our dogs which have undergone a really wonderful transformation. 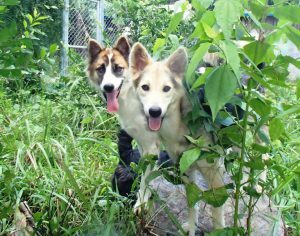 They came to us more dead than alive, from the street or from the dog meat trade but they fought their way back into life. Many have lost this fight, and every one of them has torn out a piece of our heart… but the ones that made it confirm every day the value of our work; they show us why we are here. They are our ’reward’ and our motivation to continue our work for as long as we are able to. Many hundreds of hungry little mouths are still looking for kind sponsors. Part-sponsoring is also possible. 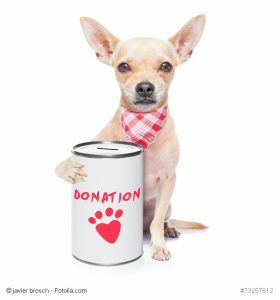 The monthly cost of sponsorship is 22.00 EUR (for a dog) and 16.00 EUR (for a cat). This is the approximate cost of a small restaurant dinner, or 2 – 3 glasses of wine, or 4 packs of cigarettes, or 3 icecreams in a café. Please have a look at the gorgeous furries in ElfesWorld. We show you some on the page ’Sponsors Wanted’. Only through sponsorship and donations is it possible for the many hundreds of animals to continue living in ElfesWorld being happy, healthy, safe and loved. If you have fallen in love with one of our animals and wish to sponsor it, then please contact us. Do you want to adopt an animal? 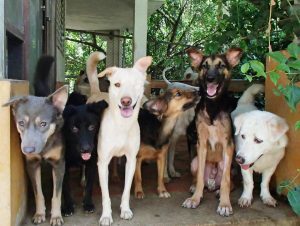 Most of the dogs are available for adoption; frequently we have needy cases looking urgently for their own family. Dogs that don’t do well in packs, are extremely focused on humans and would be much happier getting lots of attention from their own family. The ’selection’ of those longing for a home of their own is huge, whether big or small, light or dark, timid or confident, smooth or tousled fur – they all would love to live in their own family. If you are interested in one of our furries, please contact us. We desperately need donations to cover the costs for the maintenance of our sanctuary, the veterinary treatments, food for the animals without sponsors, water, rent, salaries for the helpers and other expenses. Many animals do not have sponsors. The sponsorship amount of 22.00 EUR per month does not cover all costs, but at least those for food and parasite protection, which is a great help for us. A great burden especially are the veterenary care for the many animals as well as special diets and medicines for the sick and old animals. Puppies which we find in the street have to stay at the vet for a while to ensure that they do not have infectious diseases. They can only move into the shelter once they are healthy and completely vaccinated. If they are found without their mother, they have to be raised with special milk, which also costs a great deal. We keep you up on current needs and emergencies here. Please feel free to get an impression of us, our animals and our work. Under the heading ’Insights’ we have created a small gallery for you. Under ’News’ we will always give updates on our life and present new projects. Many thanks for your visit and your interest in our work, the sanctuary and our animals. Do you have questions, suggestions, criticism? Or are you interested in a sponsorship or adoption? because he could do only a little”.